Which Maytag Refrigerator style do you have? Maytag, a subsidiary of Whirlpool Corporation, was founded over 120 years ago by businessman Fredrick Maytag. In its infancy, Maytag was known as a smaller, premium manufacturer choosing to focus on only washing machines and dryers. Over time, in order to keep up with competitors, they broadened their product line to include a full range of kitchen appliances. Today, Maytag prides itself on producing products of the highest quality and dependability. Maytag offers some of the most advanced technology on the market including High-efficiency, top and front loading washers, High-efficiency dryers, innovative dishwashers, refrigerators and freezers and top of the line cooking appliances such as ovens, ranges, cook tops and microwaves. Maytag Refrigerator Filters install in your refrigerator and produces great quality drinking water and ice directly from your refrigerator. Maytag refrigerator filters remove chlorine and other contaminants that may also be in your water. 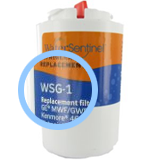 Replace your Maytag refrigerator filter cartridges every 6 months. 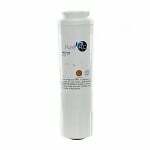 With the PureH2O PH21500 Replacement for Maytag 101414-B PuriClean compatible refrigerator water filter you get NSF42 Certified chlorine taste and odor reduction while saving a lot of money in the process. The PureH2O PH21200 Replacement for Whirlpool NL300 fits side by side refrigerators with filter access through the front grille. 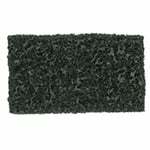 PureH2O PH21510 Replacement for Maytag FILTER7 filter media reduces or removes chlorine taste and odor along with sediment. The PureH2O PH21200 Replacement for KitchenAid WF-NL240 Refrigerator Water Filter is a refrigerator water filter that will reduce bad taste, odor, lime scale, chlorine and dirt from your water and ice. 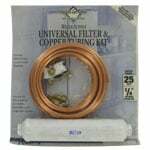 The Amana, Maytag 67003662 Clean 'N Clear Undersink Replacement Filter replaces part numbers RO185014, RO185011, and Amana C2. With the PureH2O PH21500 Replacement for Maytag OWF51 PuriClean compatible refrigerator water filter you get NSF42 Certified chlorine taste and odor reduction while saving a lot of money in the process. 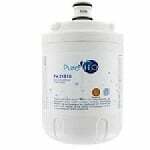 With the PureH2O PH21500 Replacement for Kenmore 469992-100 compatible refrigerator water filter you get NSF42 Certified chlorine taste and odor reduction while saving a lot of money in the process. 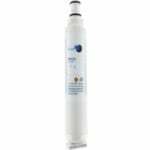 This 12527304 Amana refrigerator filter water filter also known as model WF401, WF30, WF40 replaces part numbers 12388401, 12388402, 12527305, 12527307, 12527309, 9014, 46-9014, 9904, 46-9904. 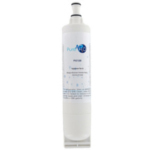 With the PureH2O PH21500 Replacement for Waterfall WFC1801 compatible refrigerator water filter you get NSF42 Certified chlorine taste and odor reduction while saving a lot of money in the process. This is the Tier1 RWF1041 Compatible by PureH2O. The PureH2O PH21510 is the correct replacement for the OnePurify RFC1600A. PureH2O PH21510 Replacement for Maytag P1AC416 filter media reduces or removes chlorine taste and odor along with sediment. This is the PureH2O PH21510 correct Replacement for the Waterdrop WD-UKF7003. 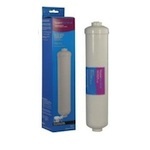 PureH2O PH21510 Replacement for Maytag FILTER4A filter media reduces or removes chlorine taste and odor along with sediment. PureH2O PH21510 Replacement for Maytag UKF-7002 filter media reduces or removes chlorine taste and odor along with sediment. 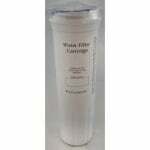 The 12488101 Refrigerator Air Filter fits some newer Amana models. With the PureH2O PH21500 Replacement for OnePurify RFC-P09 compatible refrigerator water filter you get NSF42 Certified chlorine taste and odor reduction while saving a lot of money in the process.